Peter has more than 42 years experience of working in IT, employed by or providing consultancy to organisations in the advertising, retail, leisure and health sectors as well as local and central government agencies. 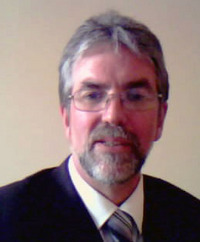 He has undertaken consultancy, project management and technical roles across most IT disciplines. He has devised and implemented application and technology strategies to meet organisations’ business needs, often across more than one site or internationally. This depth and breadth of experience is a great advantage when seeking to promote the business and technical solutions best suited to client requirements.